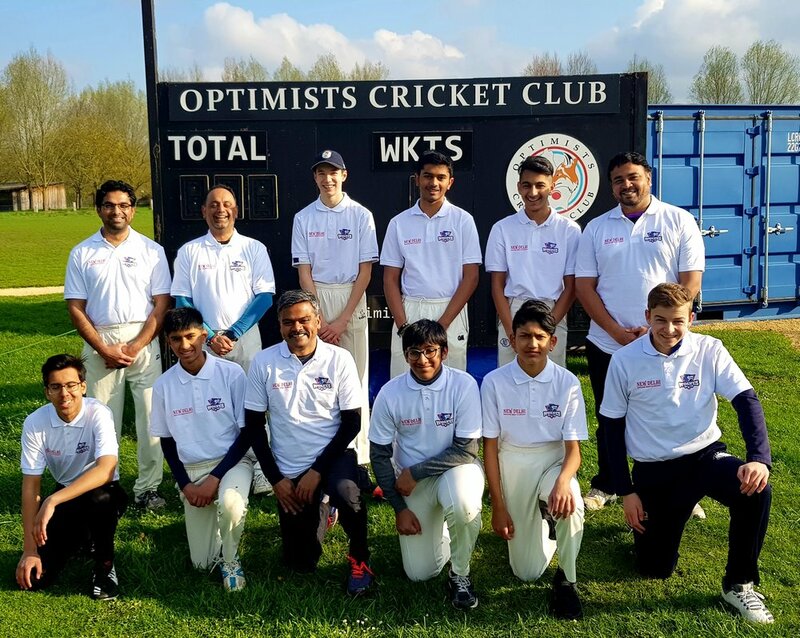 The rebirth of a predominantly older juniors team (Luxembourg Wolves) reflects the LCF’s continuing commitment to provide experience and exposure for those young players not yet quite ready for full competitive adult cricket but nevertheless in that environment. The team’s logo was designed by one player - Connor Kinsella. The initiative goes back to 2011 when a number of very keen, promising young players were identified and encouraged to take part in the LCF league, playing alongside a number of coaches and senior players, under the name Senior Juniors. This proved extremely successful and several of them soon moved on to play regularly in senior cricket, both for the Optimists Cricket Club in the Belgian League and the national team in official ICC Europe tournaments. The system continued for several years, albeit under a different name, WOCC & Juniors. However, with the number of older teenagers dropping, primarily as a result of families moving away, the team had disappeared by 2014. Junior numbers remained stagnant for some years and, combined with the growth of the adult-playing community, there were few opportunities for matches until 2017, when the possibility of resurrecting the team was discussed. With only a small group of really competent players, but a larger group of inexperienced but promising youngsters, the team was reborn but with a new name, the Luxembourg Wolves. After a number of indoor training matches against adult opposition it was agreed that the team would play all the other LCF teams, but once only, to give them the opportunity to improve their skills in competitive matches but not a full league environment. This has so far proven really successful, with a squad of 12 players who would otherwise have only been able to gain sporadic match experience. Now that progress has continued, the club has entered the LCF Division 2 for the first time and has created its own Facebook Group.